The construction industry’s productivity has been on a decline since the 80’s. McKinsey sites inadequate communication between owners/ developers, general contractors and subcontractors as one of the main factors that account for poor productivity and cost overruns. 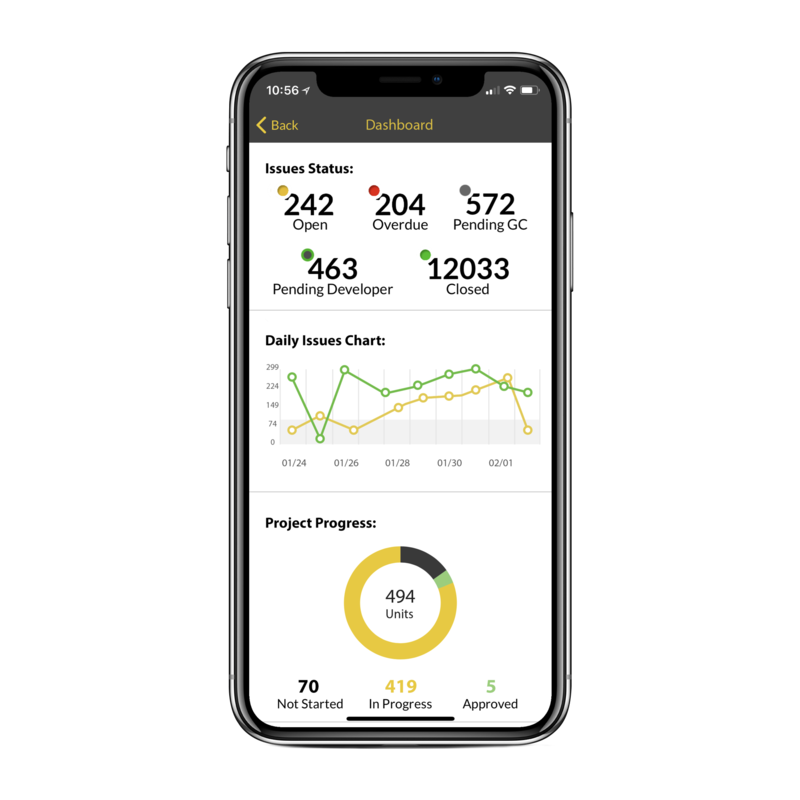 Our mobile collaboration platform provides a solution for owners/developers, general contractors and subcontractors to communicate and collaborate, as well as providing accountability for all parties involved. 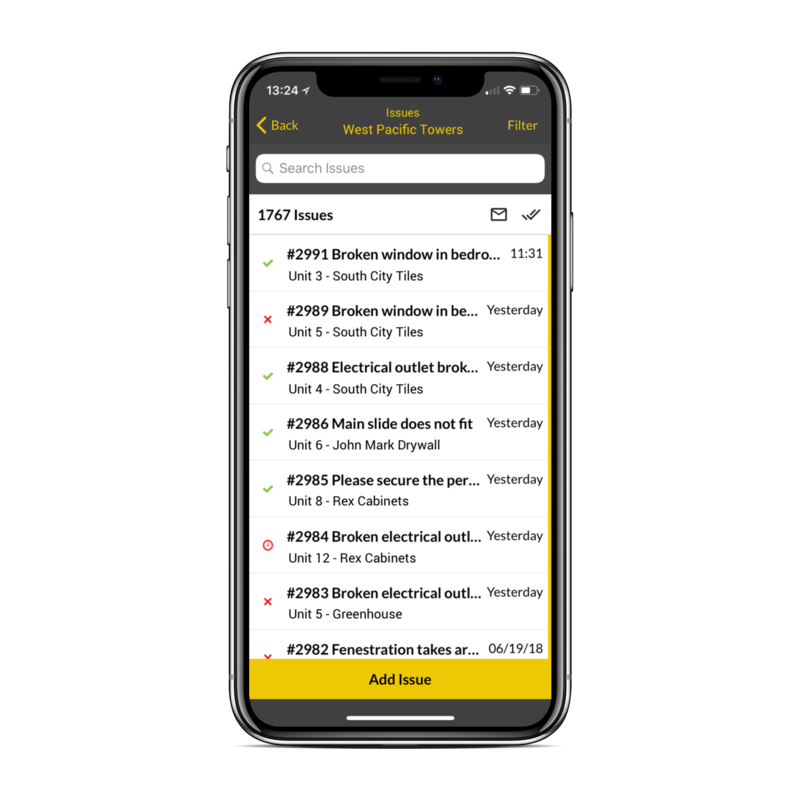 Automated workflows and exceptionally simple to use making better communication and quicker issue resolution possible. Documents issues in a matter of seconds and allows checklists per unit, improving efficiency, productivity and tracking on the field. Simplify your punch system and QC walks with with no need to jump through hoops just to enter in your items. 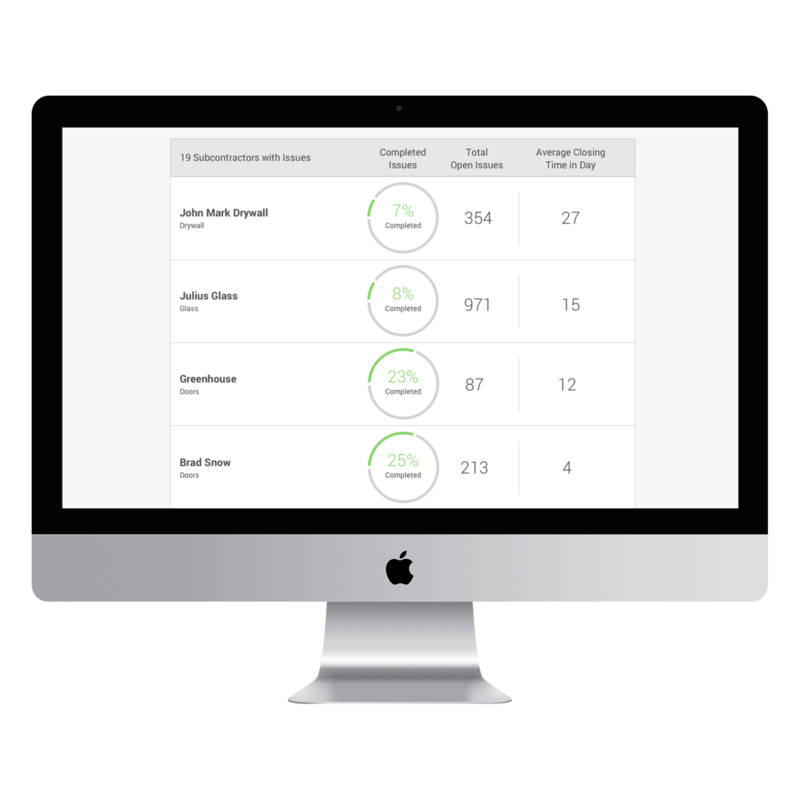 Automated and seamless communication with subs, keeping track of all issues and when resolved, promoting better subcontractor accountability. 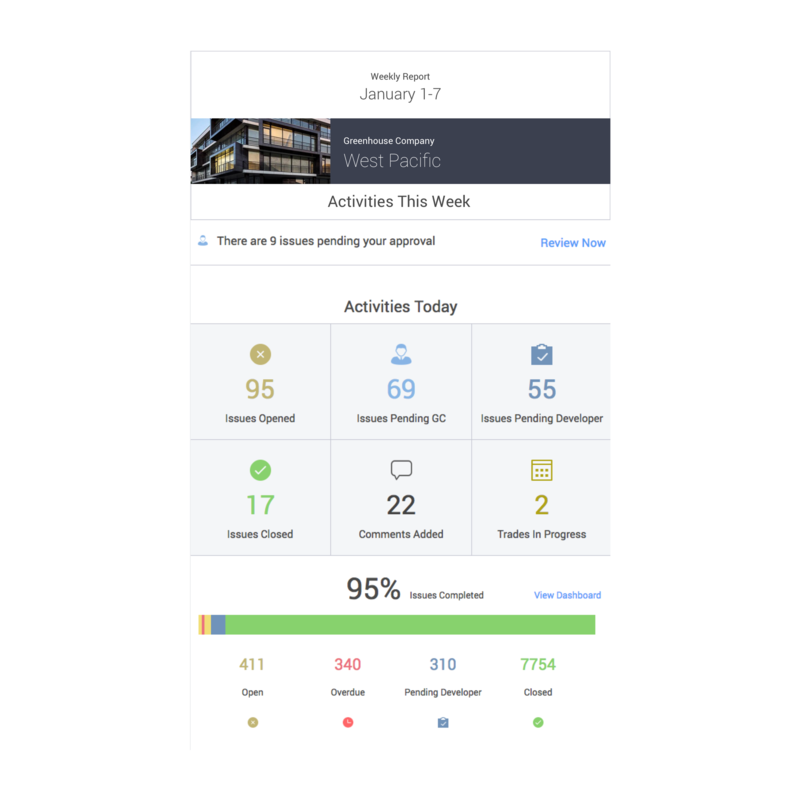 Get notifications on checklists and issues as well as reports on overdue and pending issues, lessening the back and forth.